Excited to share one of my cards published in the latest Australian Cardmaking, Stamping and Papercraft magazine Vol: 21 No: 11! This one is for Double Up Die Cutting theme – die cutting within a die cut. Here are instructions on how I made this card. 1 Make card base and sponge Tumbled Glass distress ink from the bottom of the card front fading towards the middle to the top. Die cut the rounded tag from Stitched Duo 3 die set from Pretty Pink Posh using white cardstock. Then die cut the Leaf Column die twice with the second slightly below the first. 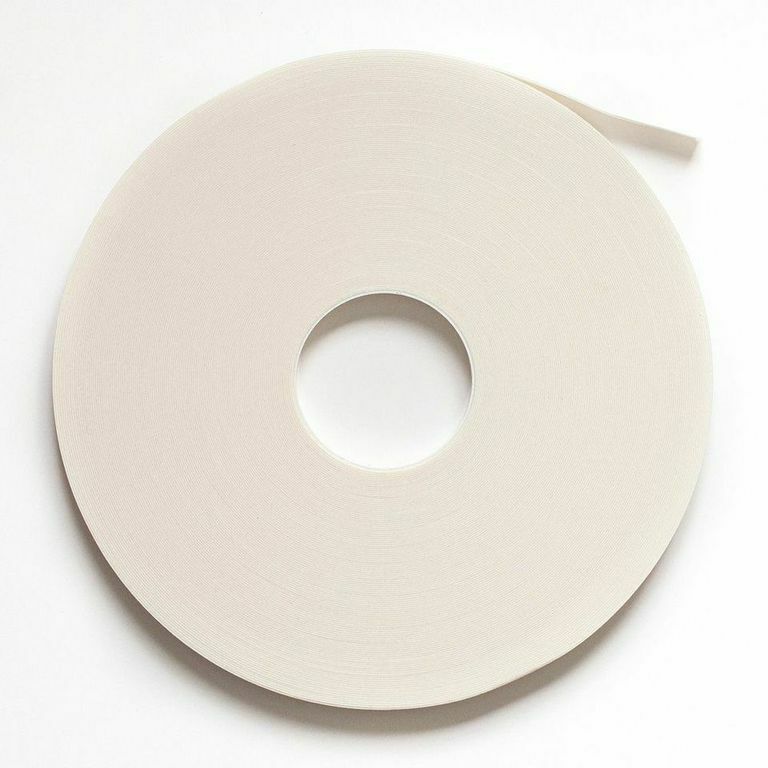 Die cut the tag using acetate sheet and adhere to the back of the white tag. Die cut two of the Leaf Column out of New Leaf Cardstock and inlay and glue them with glossy accent on the white tag with acetate backing to support. Leave it to dry. Ink the birds with Mustard Seed distress ink. White heat emboss the sentiment on a strip of black cardstock. 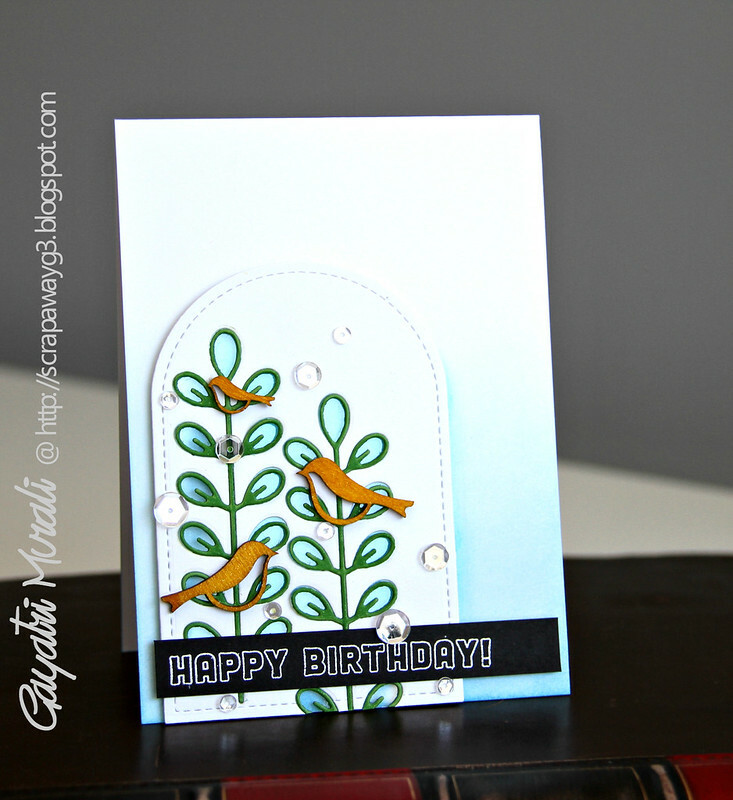 Adhere the tag on the card front using foam adhesive and bird on the leaf using glossy accent. Adhere the sentiment strip using foam adhesives. Accent with Sparkly Clear sequins from Pretty Pink Posh. I have all products used on the card listed below. I have one more card in it for using tiny frame theme. If you like to subscribe, here is the link. Thanks for stopping by and sharing my exciting news! beautiful card!! love the colors and the die cut within a die cut! Wowee, Gayatri! Congratulations on your being published! I adore this little card and double-die-cutting. Enjoy your day to the max, my friend! Congratulations Gayatri! How exciting to be published and with such a beautiful card! I love the inlaid die cutting! Excited to go see the other card too! Big congrats Gayatri!! PRETTY card, you rocked the PPP products! LOVED this card when I saw it in the magazine, so clever and such a great combo of colours Gayatri, Congrats! Congrats on being published. This looks amazing! Congrats on being published. You are incredibly creative and I love this card. Congratulations Gayatri. A gorgeous card. Congratulations Gayatri – wonderful news!